They call it summer doldrums for a reason. This is a Friday heading into a long weekend and from what we can tell, not very many financial folks have been around this week. Wall Street Records Broken This Week! This week Tuesday was a record day on Wall Street ! Lowest Volume day of the Year! Not to be outdone, Wednesday was even less …. Who knows what today will be .. YIKES ! 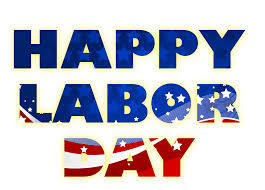 Have a Super Extra Long Weekend and a Happy and Safe Labor Day! You know by now…. Do not forget to spend time with those special in your life….Next week is September ALREADY ! This entry was posted in Investing/Financial Planning and tagged Labor Day, Low Volume. Bookmark the permalink.